Hire Hummer Limo company offer a fantastic range of Hummer limousines throughout the country for all types of events and occasions. 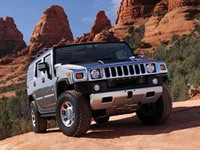 Hire Hummer Limo offers the Baby Hummer limousine hire as well as the H1 Hummer limo hire, H2 Hummer limo hire, H3 Hummer limo hire and Hummer style limousines. The Baby Hummer is a 6 seat Hummer limousine hire which is a perfect, stylish vehicle and ideal transport for more intimate and personal limousine hire. If you’re looking to do some sightseeing around London or off to the races at Royal Ascot with a friend or loved one then this Hummer limo hire would be absolutely ideal for you. The Baby Hummer limo hire would also be ideal transport for the groom on his weeding day. This chunky yet striking vehicle we be noticed by everyone and will certainly give off a great impression. After the wedding the Baby Hummer limo hire can be used to transport some of your wedding guests to the reception venue from the church or registry office. All our wedding Hummer limousine hire including the Baby Hummer limousine hire will come decorated with wedding ribbon and bows to compliment your wedding theme. The Baby Hummer limousine hire comes in a wide array of exciting colours including red, orange, black, white, silver, black and yellow. Inside you’ll find luxurious leather interior, air conditioning for those hot summer days, a DVD player with flat screen LCD TVs, CD player and radio, electric seats and privacy windows. Hire Hummer Limo company also provides limousine hire for events like birthdays, school proms, airport transfers, hen and stag nights, wine tours, spa weekends, shopping trips, engagements and weddings. No event is too big or too small for Hire Hummer Limo as we can offer you a range of Hummer limousine hire that can cater for 6 to 16 passengers. All our Hummer limousine hire vehicles are fully licensed and insured to comply with the limousine laws set by VOSA (Vehicle and Operator Services Agency). Our staff are all police checked and given full training including admin staff who book your limousine hire so that they can provide you with the best Hummer limousine hire that’s affordable and suitable for your event or occasion. Don’t be let down by a limousine hire company that offers you cheap limousine hire that does not have the correct licensing. This can often result in your limousine hire being unreliable or result in injury to yourself or others. For more information on the Baby Hummer limousine hire or any of the other Hummer limousine hire vehicles that Hire Hummer Limo has on offer, please do not hesitate to contact our office staff by phone or email and they will be happy to answer any questions you have. They can also give you a free, no obligation quotation that you won’t be disappointed with.